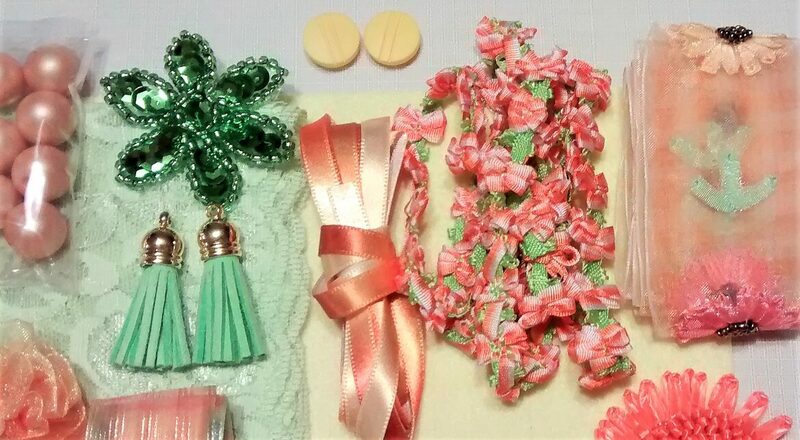 If you'd prefer: MY ETSY SHOP - more pictures are available. 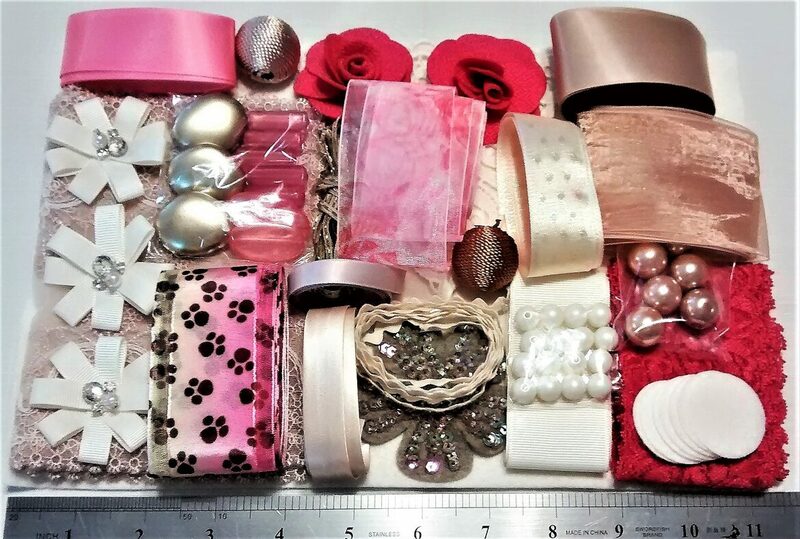 This is a new category- Crafting Packs. 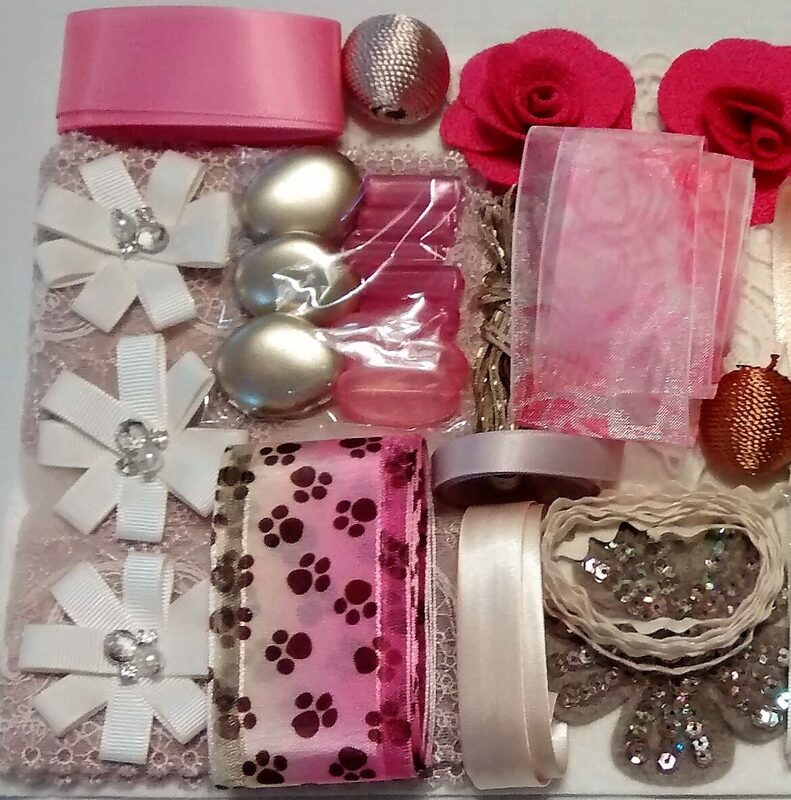 Made up of laces, ribbons, flower embellishments, buttons, assorted embellishments, and beads. 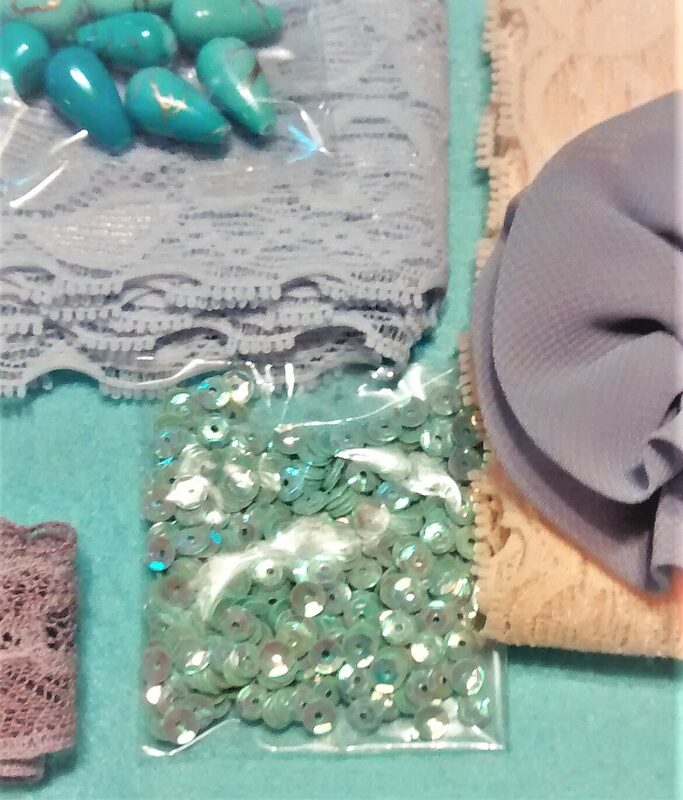 This peach, teal, and lavender colored pack contains different ribbons (1 yd each), teal beads and sequins, ribbon flowers with rhinestones and beads, two beautiful, sequined embellished, ribbons. These are gorgeous. A dark lavender piece of 6" wide lace. Two yards of peach and light lavender lace. It also has a large piece of teal colored felt (7 1/2" x 11 1/2"). 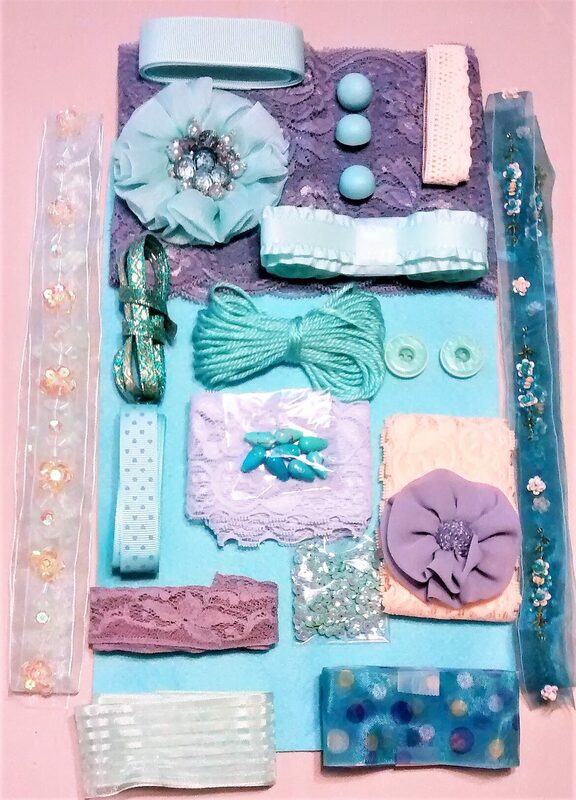 Please take a look at the pictures to get a more detailed idea of the colors and variety. This pack, if individually priced, would be around $50.00. 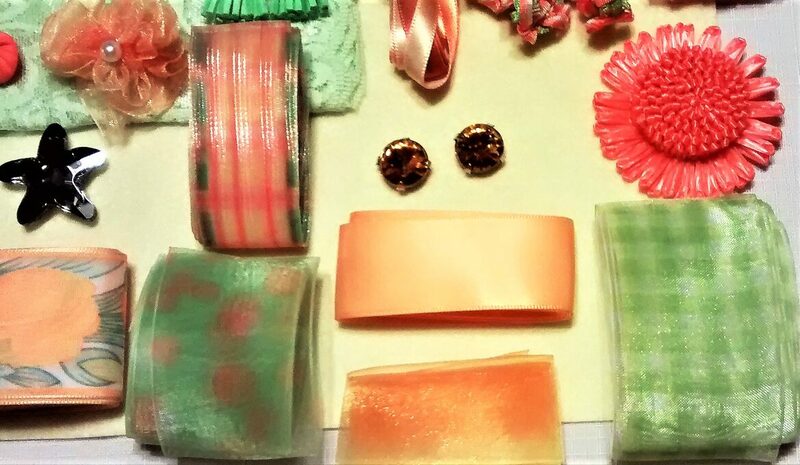 Please remember, we only charge one flat shipping fee of $6.45, no matter how many items are ordered at one time. Thank you. 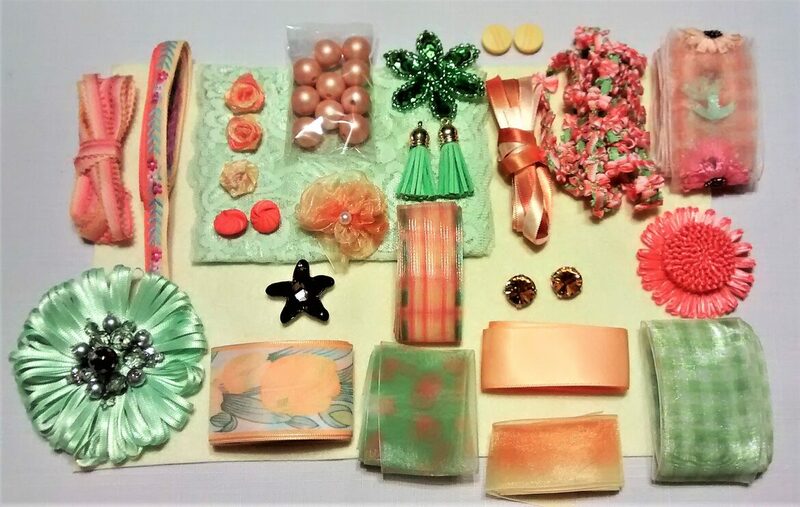 This peach, yellow, and green colored pack contains 10 different ribbons (1 yd each), Peach beads, ribbon roses, ribbon flowers with rhinestones and beads, large green glass faceted flower, two faceted gold glass buttons, and two green tassles. 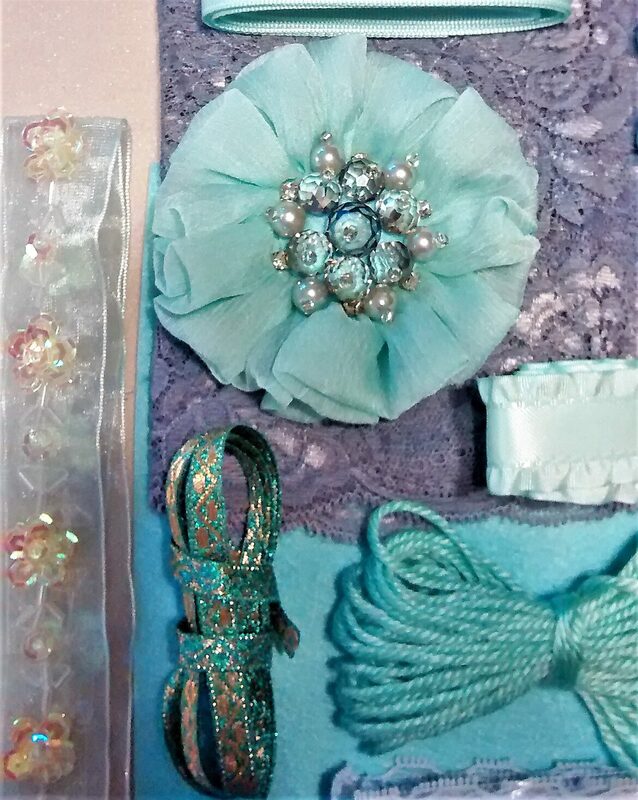 A green piece of 6" wide lace. A cute yard of orange flowers and leaves trim. It also has a large piece of pale yellow colored felt (7 1/2" x 11 1/2"). 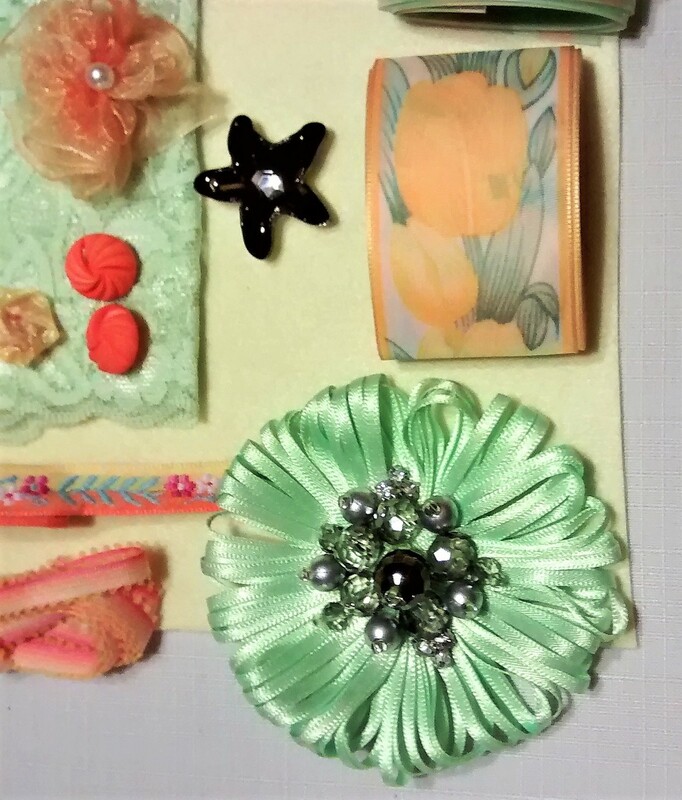 Please take a look at the pictures to get a more detailed idea of the colors and variety. This pack, if individually priced, would be around $50.00. 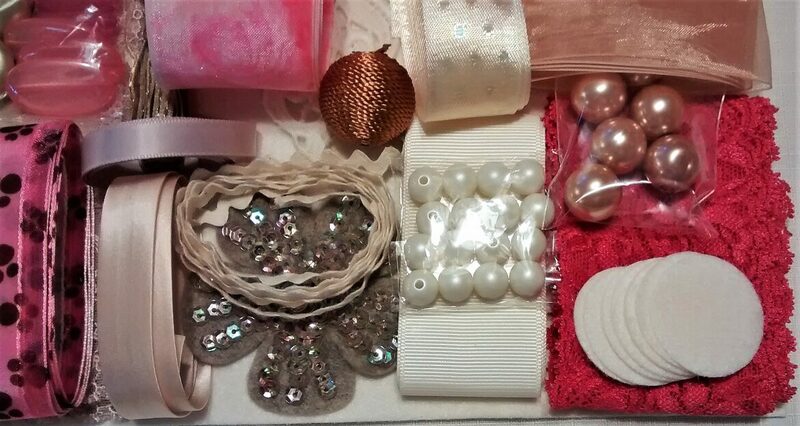 This pink, hot pink, beige, and cream colored pack contains 9 different ribbons (1 yd each), 5 types of beads, two felt roses, felt circles, ribbon flowers with rhinestones and beads, large piece of beige lace (6" x 33") and a red lace, felt flower with sequins. It also has a cream colored lace inset and a large piece of cream colored felt (7 1/2" x 11 1/2"). 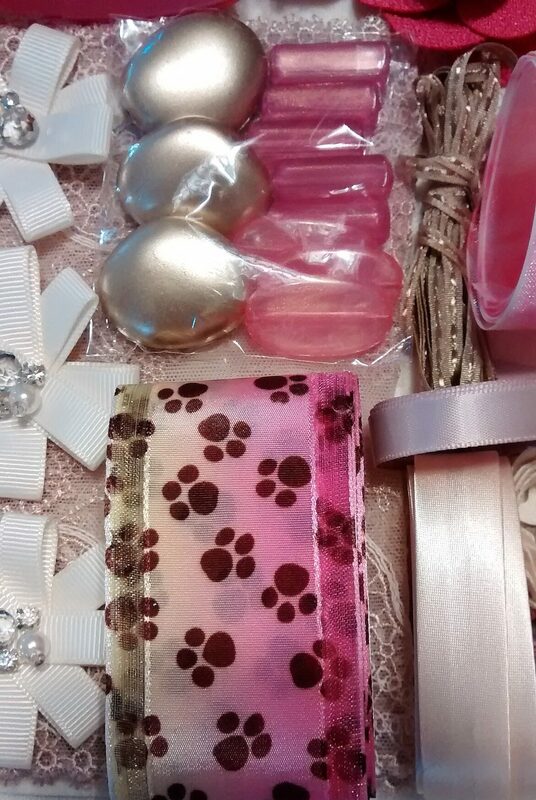 Please take a look at the pictures to get a more detailed idea of the colors and variety. This pack, if individually priced, would be around $50.00.